Contender Bicycles invites you to ride the unbeaten path on the extremely versatile OPEN U.P. 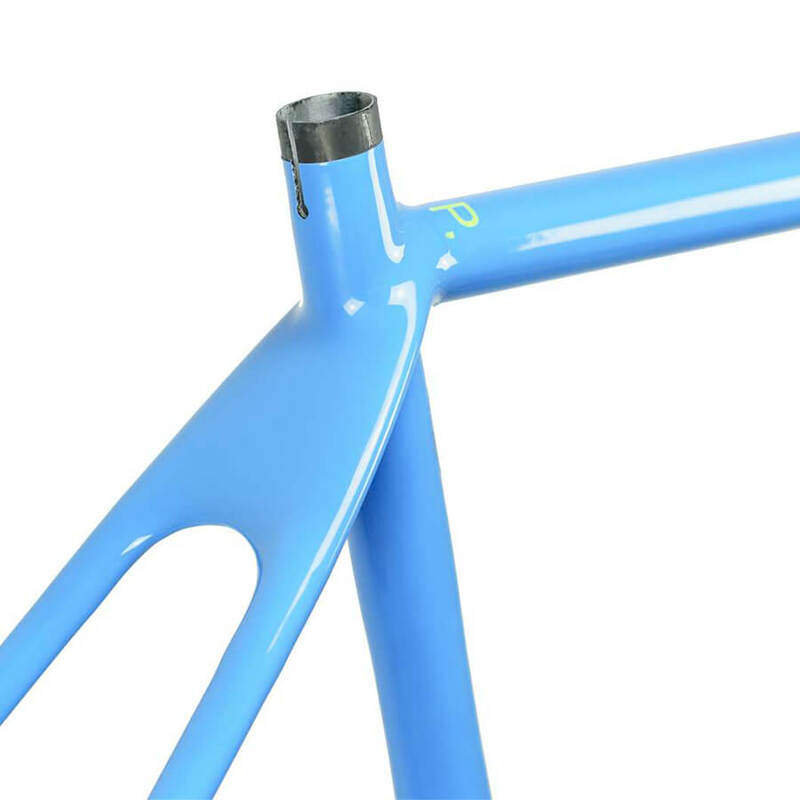 Unbeaten Path Gravel Frameset for gravel and road riding. As more riders seek adventure on back roads they are finding the need for better brakes and bigger tires increasingly evident. The first solution is disc brakes, the second is clearance for wider tires. OPEN Cycles provides both of these and more with their unique Unbeaten Path (U.P.) gravel plus frame and fork. This new brand has approached the design process from the ground up to offer something unique to the industry, a disc-equipped road bike that can be ridden with 650b knobbies or 700c cyclecross tires. Ride where the road ends, ride the unbeaten path, ride the OPEN U.P. Unbeaten Path Gravel Frameset, the world’s first gravel plus road bike. You know you need a new cyclocross bike, and a disc-equipped road bike or fat-tired drop-bar rig are on the list of needs as well. 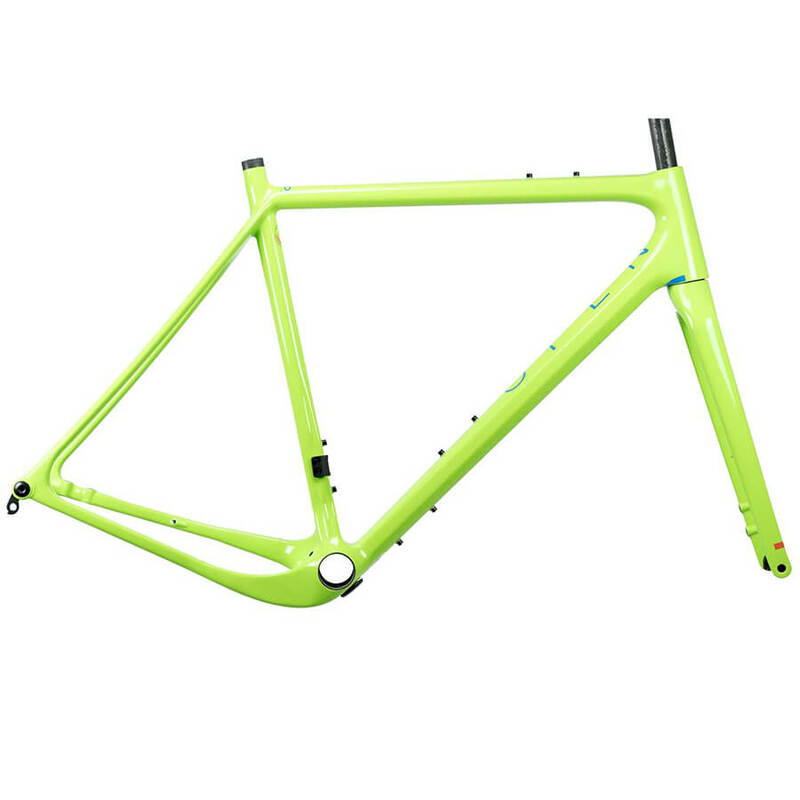 OPEN Cycles offers all of these options from one OPEN frame. Renowned bike engineer Gerard Vroomen, responsible for the Cervelo road and tri-bikes, looked closely at the fact that 27.5×2.2 (650b) mountain bike tires and 700×40 cross tires are only millimeters apart in total diameter. This being true he must be able to design a frame that would work well with either wheel size; all he had to do was invent something totally new. The result is the revolutionary OPEN U.P. frameset. U.P. stands for Unbeaten Path which is exactly where this bike can be ridden without holding back. With through-axles front and back and consistent disc-rotor sizes the U.P. 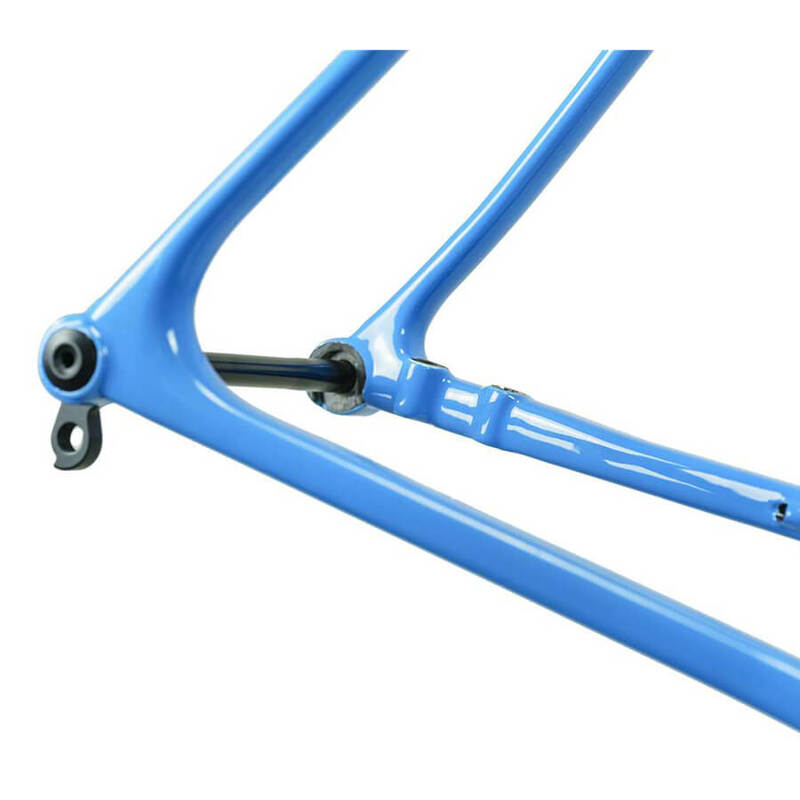 frame and fork can accept numerous wheel and tire combinations. 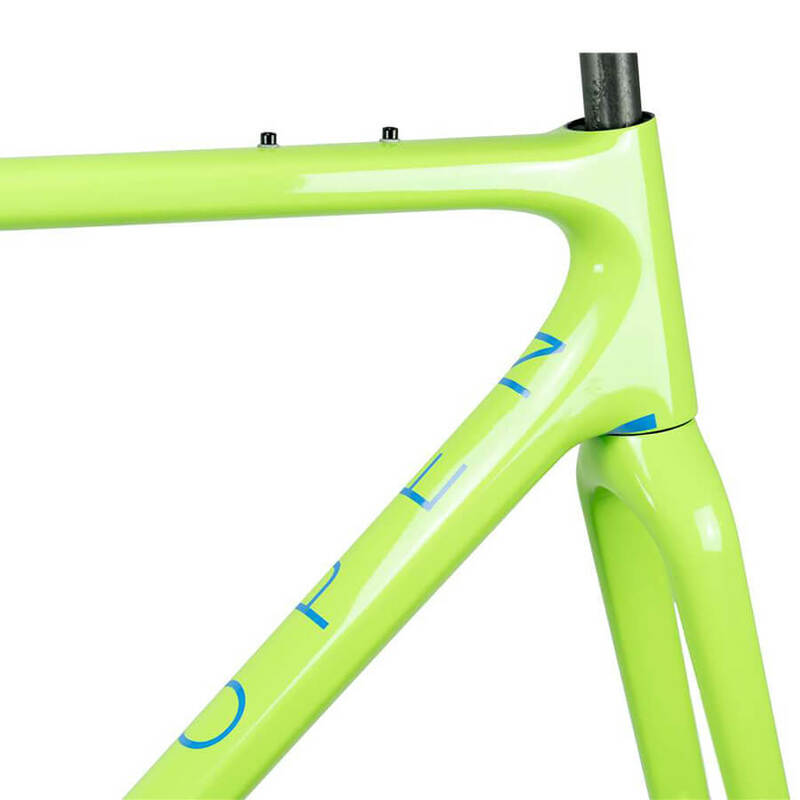 The frame geometry has the nimble feel of a road racer which also lends itself well to the cyclocross course. Riding this frame with a 700c wheelset and 37mm tires gives you the smoothest feel on rough pavement you’ll ever experience. When a 27.5 wheelset, with up to 2.1 tires is mounted, the bottom-bracket sits slightly closer to the ground but the geometry and responsive handling go unchanged. The U.P. can be used with more conventional 25mm road tires or cyclocross rubber up to 40mm wide – never before has a bike had this ability. All you have to do is decide where you will ride it next, install the appropriate wheels and tires, then let the OPEN Cycles U.P. take you there. The OPEN U.P. 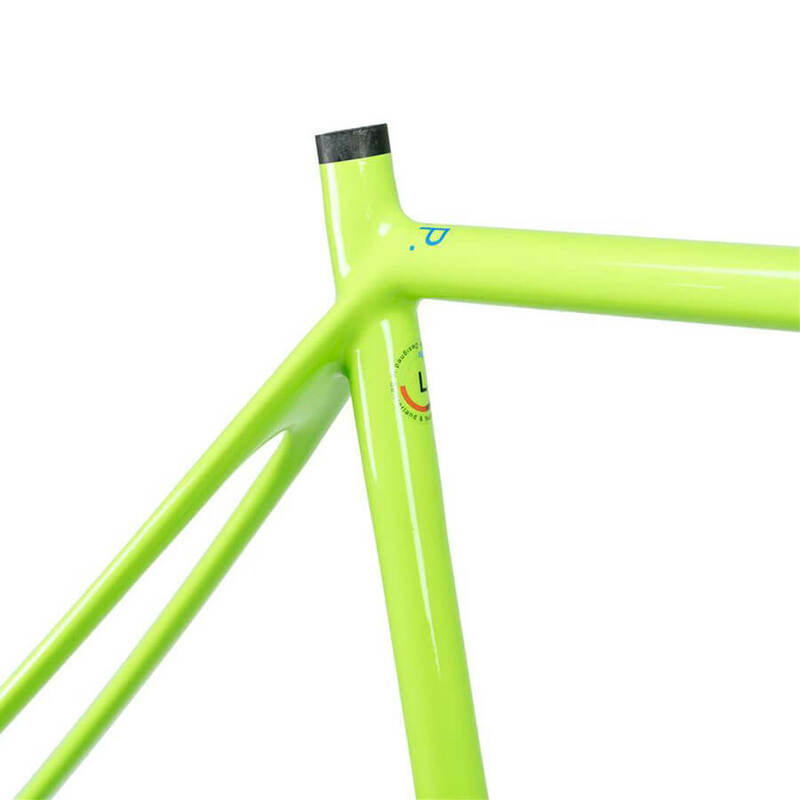 Unbeaten Path Gravel Frameset features a few advancements over that of its predecessor . 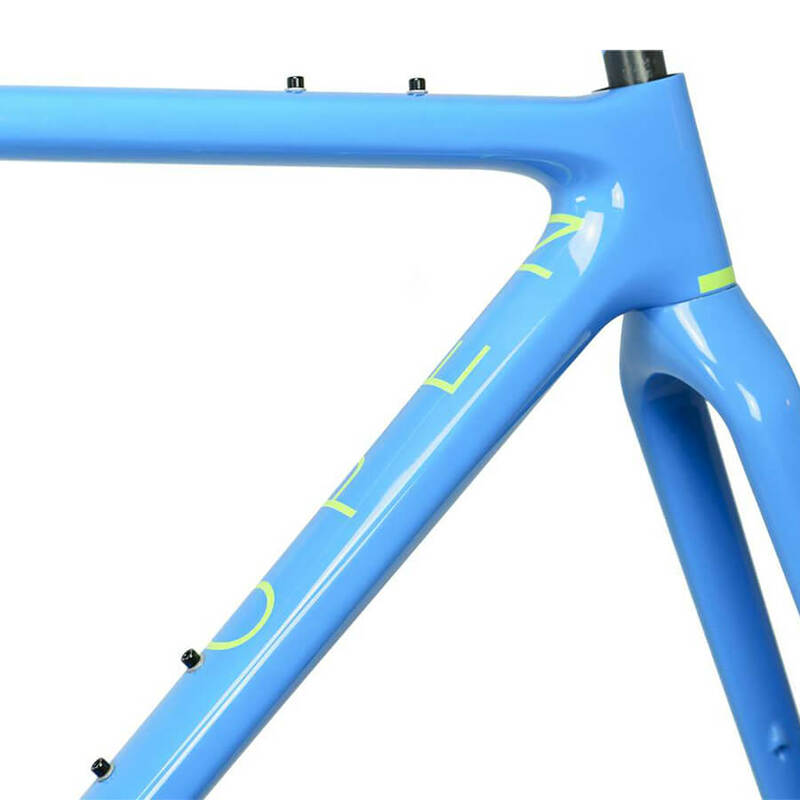 Thanks to a new carbon layup this frame is weighing in 70 grams lighter than the old U.P. 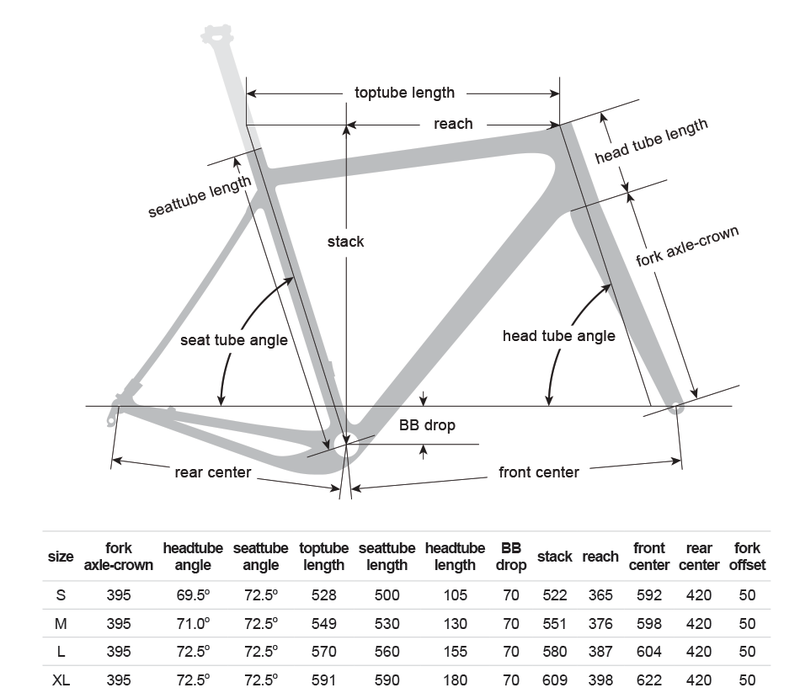 frameset. The new U-Turn fork, also featured on their U.P.P.E.R. 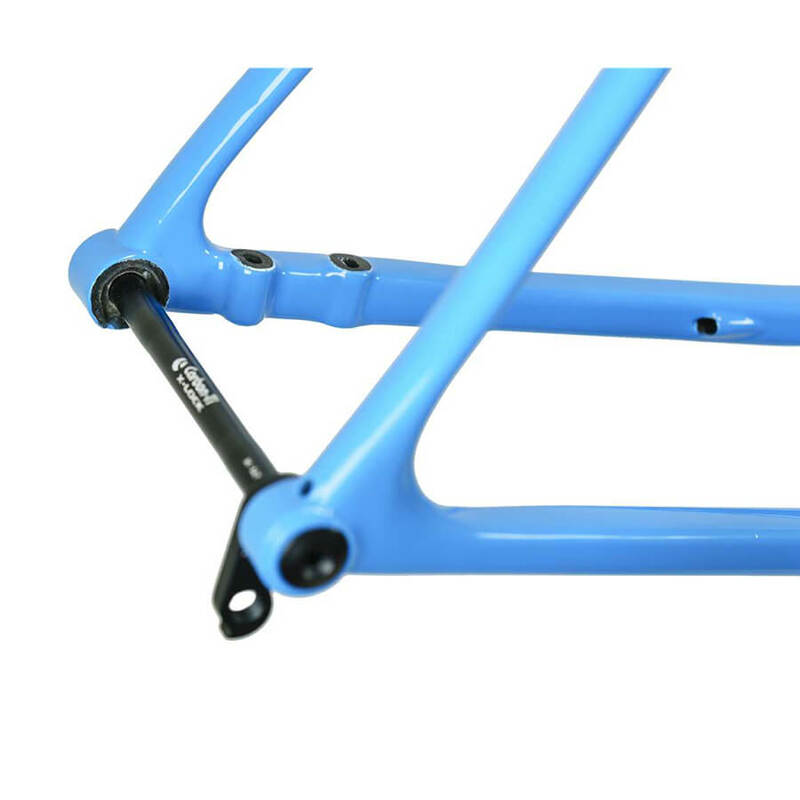 Frameset, saves another 65 grams. The New U.P. 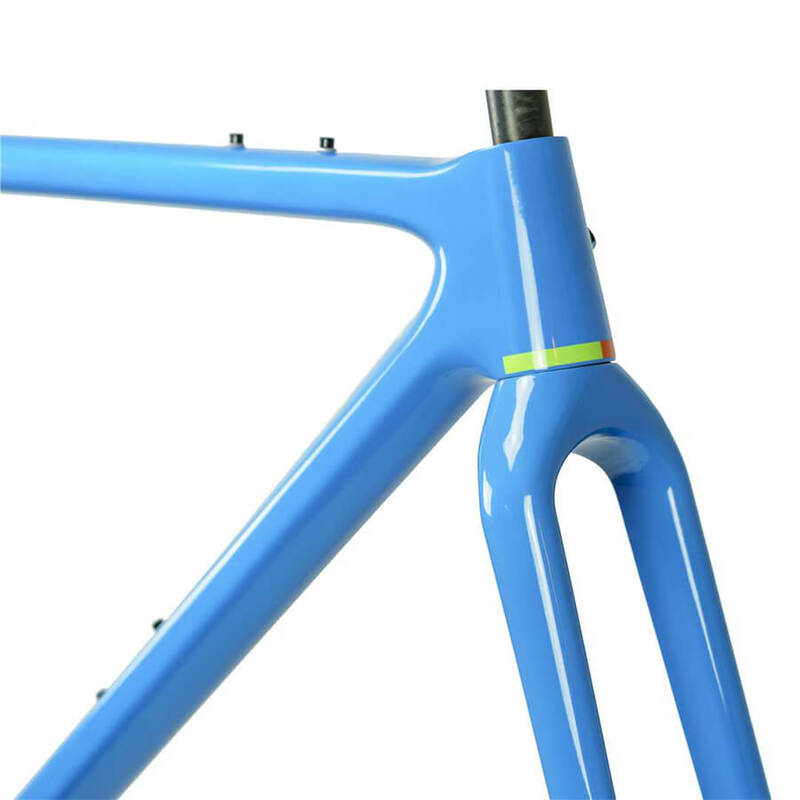 has also been further upgraded to accept flat-mount disc brakes on the fork and rear triangle. 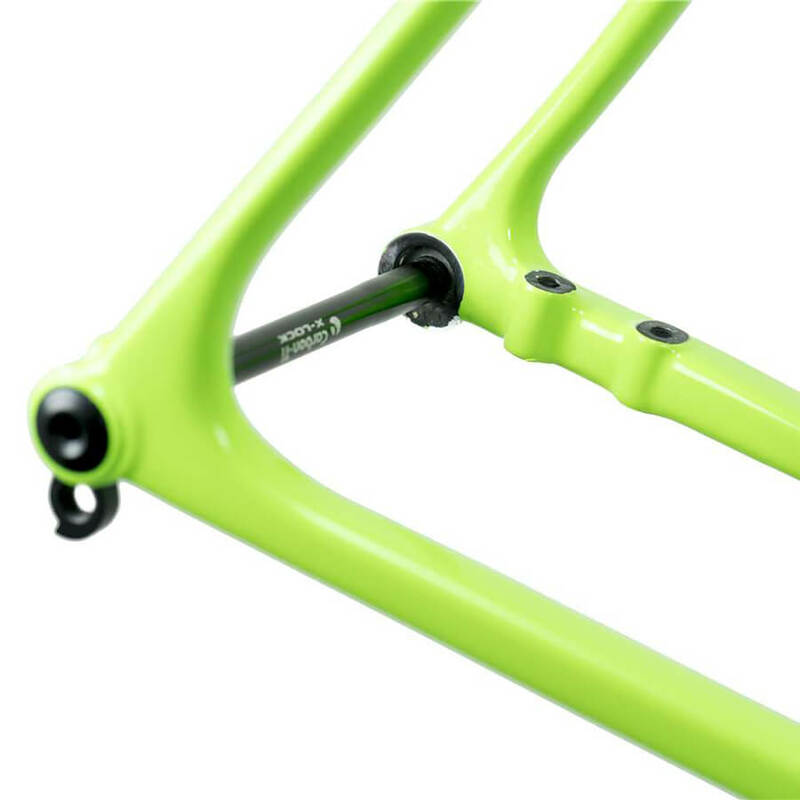 Lastly this frame features new dedicated hardware including superlight Carbon-Ti axles to help keep the overall weight extremely low. The original U.P. will also remain available for those who prefer post-mount disc brakes. Looking to build your new OPEN U.P. to your exacting specifications? Contact our OPEN Cycle and custom build experts at the shop, or shoot us an email at info@contenderbicycles.com. With a huge number of options for your wheels, drivetrain and everything in between, we can help meet any of your goals. And if you’d rather leave the choices to us, check out our list of preferred builds HERE.